4th Street Commons - 4th Street Commons is a brand-new apartment complex built with students in mind! These are the apartments near FIU Miami students love coming home to at the end of a long day of class. 4th Street Commons is a brand-new apartment complex built with students in mind! These are the apartments near FIU Miami students love coming home to at the end of a long day of class. 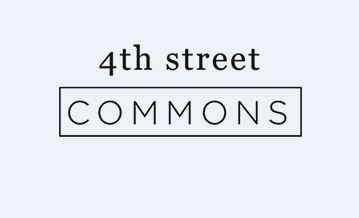 4th Street Commons is a brand-new apartment complex built with students in mind! These are the apartments near FIU Miami students love coming home to at the end of a long day of class. Don’t settle for anything less than total luxury during your college years. Staying on top of your classwork isn’t easy, but its a little easier with blazing fast Wi-Fi and convenience group study lounges in your Miami student apartment community. Plus, you’ll never have an excuse to miss class when you live within walking distance. At University Realty, our top priority is providing customers with the highest level of customer service and expert advice. We specialize in helping people buy and sell condos, apartments & houses. Moving? Give us a call. Royal Moving & Storage Company helps relieve the stress of moving. Welcome to Alta at Eastmar Commons, the newest apartment community in East Orlando.